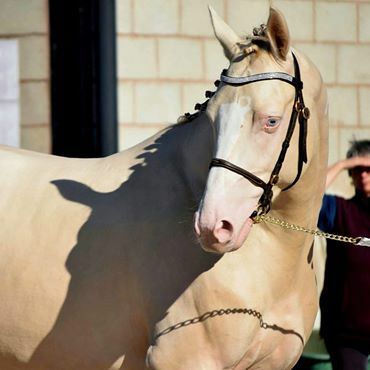 2015 Perlino Tobiano Breeders Elite 158cm There has been an improvement in recent years in the quality of dilute stallions being offered to UK breeders, especially for dressage. These stallions are starting to incorporate more and more successful sport bloodlines into their pedigrees, so breeders do not have to compromise on sporting ability over colour. The young AES and SPSS approved stallion Multicouture has his first crop of foals on the ground and is now under saddle and being prepared for his BD debut next season. At both his gradings he was praised for his powerful canter and expressive trot which was awarded a 9 by both societies. Penmawddwy Prime Design ( x Carneddau Brenin Dafydd) SPSS Premium Foal. 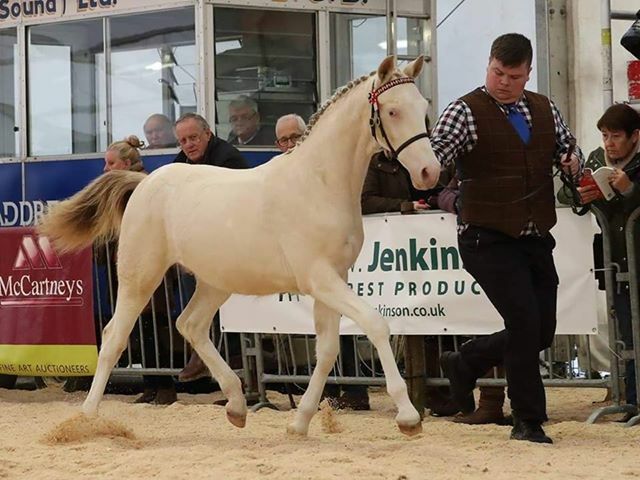 6th Royal Welsh Winter Fair, 2nd British National Foal Show. 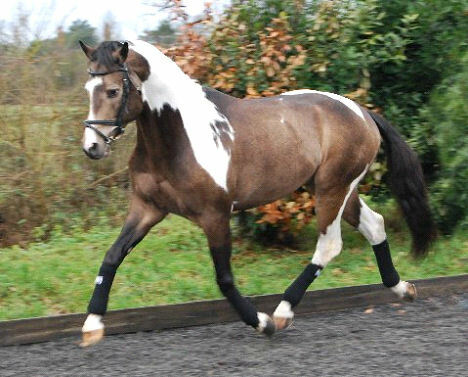 Multicouture’s unique colouring is inherited from both sides of his pedigree. 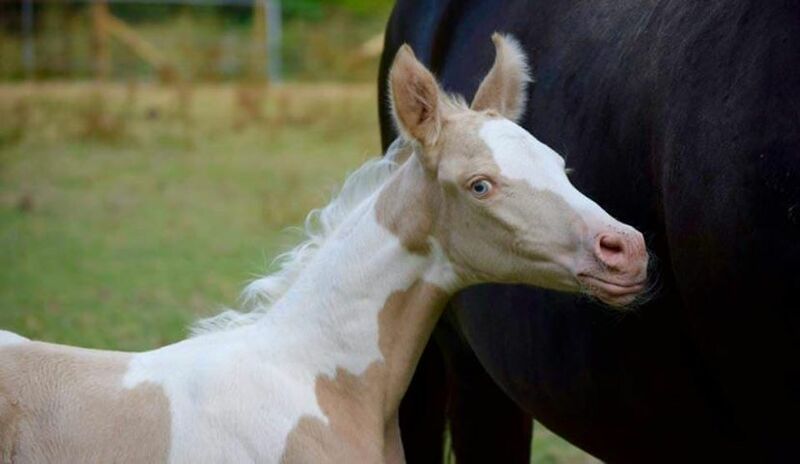 The tobiano gene was passed down from maternal side of his sire’s pedigree. Sinclair B is a grandson of the influential coloured Dutch sire Samber. 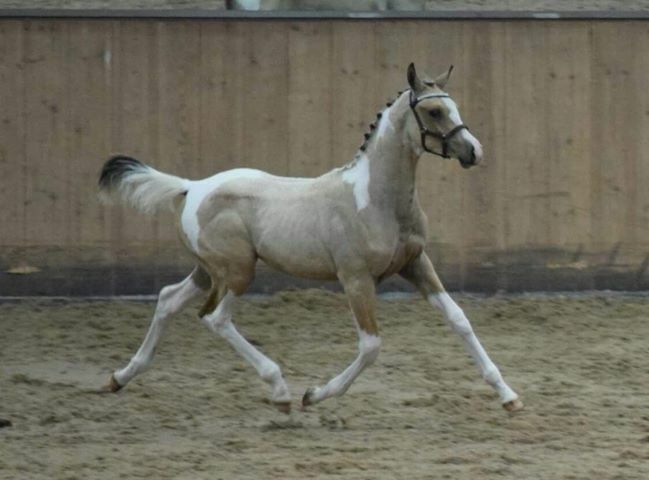 The dilute gene on the sire’s side comes from cremello grandsire Mascarpone GF who behind the careful line breeding that produced his colour, also combines Trakehner and Hanoverian performance lines. 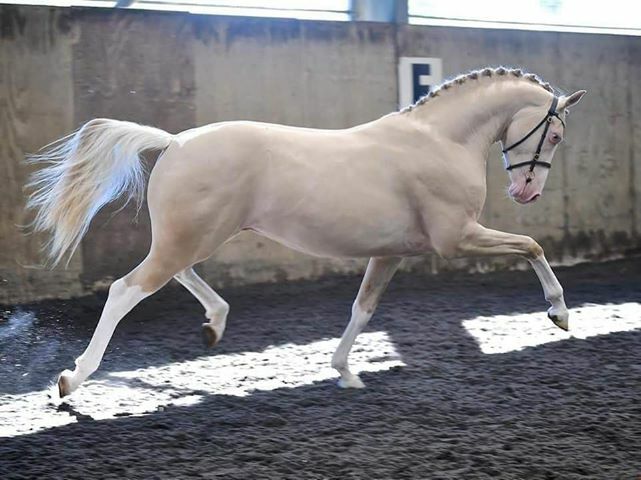 On the dam’s side, her buckskin colouring can be traced back through her motherline to a palomino American Saddlebred stallion called Holland’s Golden Boy. 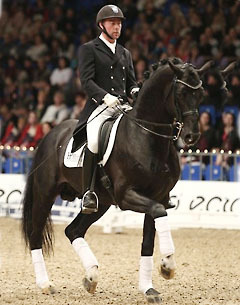 The damsire is the Oldenburg licensed Hoftanz, a stallion who actually carries the classic Hanoverian blood of His Highness x Rotspon x Weltmeyer. Hoftanz is a Grand Prix competitor, qualifying for the Danish Nationals at that level. The great dam sire is the KWPN stallion Karlstad who actual brings valuable jumping blood to the pedigree, being a combination of leading sire Ramiro Z and the Thoroughbred Lucky Boy (sire of World Cup winner Calypso). Great granddam Reanda B was awarded the Ster predicate.